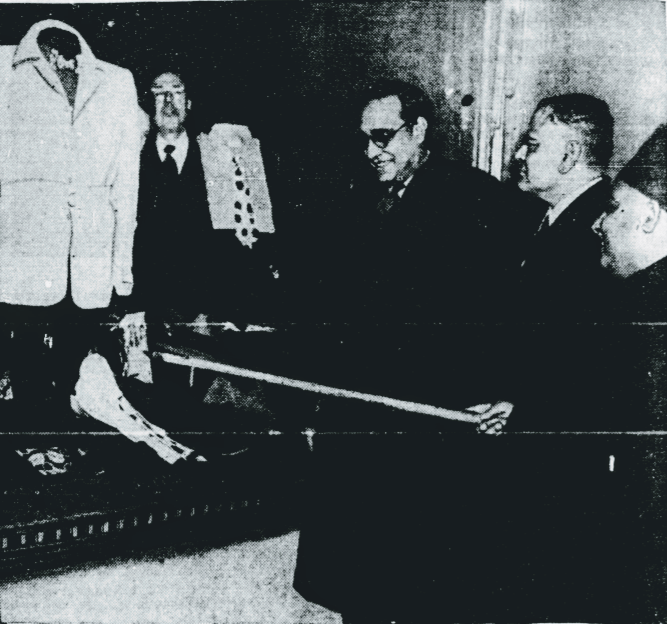 This picture shows members of the Indian Trade Commission examining occidental clothing during a recess of their conference held at New York during 1946. The commission was in the United States to discuss India’s food problem and align grain supplies from America. Habib Rahimtoola and Sir Khwaja Nazimuddin, both later served as important founding members of the State of Pakistan.